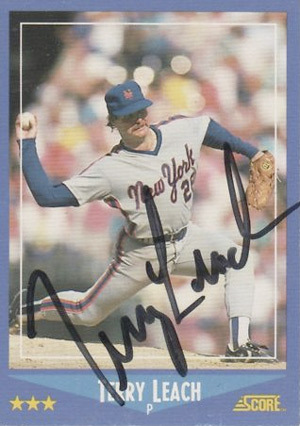 In fact, doing a search for “Terry Leach” on ebay results in a ton of awesome cards. He’s a submariner, so most of his cards look awesome coupled with his angled autograph. I came across his card doing a search for 1988 Score on ebay. That set mesmorizes me for some reason.